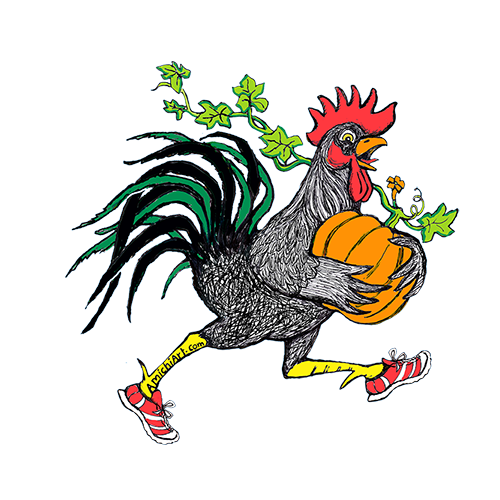 Welcome to the fifth annual Run The Farm 5 mile Trail Race on October 26, 2014! Your race directors have made some changes to this year’s race which we hope will make it even more enjoyable for everyone on race morning. One of the more visible changes this year is after 29 years of “old school” tear-tags for race timing, we have made the leap into the 21st century with chip timing. This will speed up the results for the all races so we can award the kids prizes and be ready with plenty of time to start the 5 mile race at 9:30am. The Muscoot Farm park staff, Westchester County police, and our volunteers will all be working to make it a great day and leave lasting memories for each of you. We are especially excited about the kids race and we already have over 250 kids registered for Kids Run The Farm! Check the KIDS RACE LOGISTICS note for parents with kids running. Reading it will help you on race morning! 4) LISTEN TO PRE-RACE ANNOUNCEMENTS Race Director Tony Godino will have important information about the course and safety. We will be delivering last minute course instructions before the races so please be as quiet as possible during the short pre race announcements. Danny Martin will recite a brief call and response to set the tone before the 5 mile run. 10) SPEND YOUR FARM BUCKS Every finisher of the 5 Mile race will be handed one $5 “Farm Bucks” bill. (The kids races will also get $2 in Farm Bucks.) These Farm Bucks can be used like real dollars (on race day) at the Muscoot Farmers Market right near the finish area of the race. Our intent is to encourage runners to check out the market. We will exchange the Farm Bucks for real money at the end of the market so the Farmers will accept the bucks as real cash. See you October 26th at the Farm!